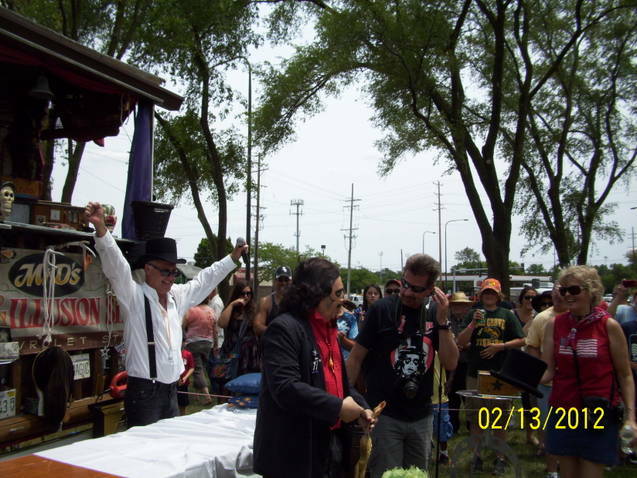 SVENGOOLIE AT LITTLE BOOTS RODEO FAN PHOTOS! 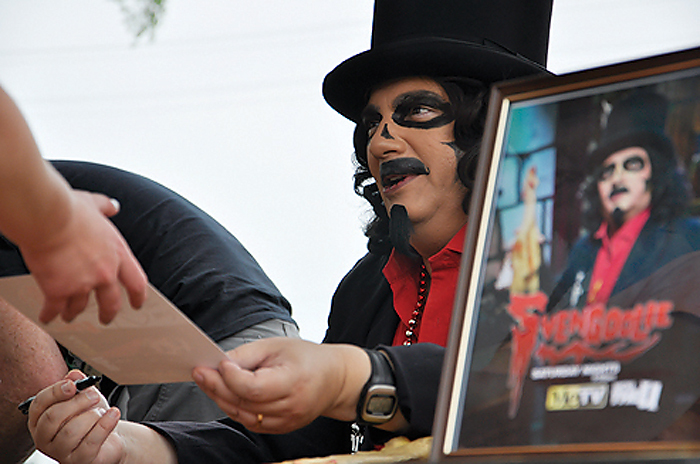 National Horror Host Svengoolie has been doing a whirlwind tour of summer appearances which included at stop at The Little Boots Rodeo in Elk Grove Village! I was attending Monsterbash that weekend and asked our dear friend, Jamie Lee Cortese, to cover this event with the same amazing detail she did for us last year (relive that great experience by clicking HERE). 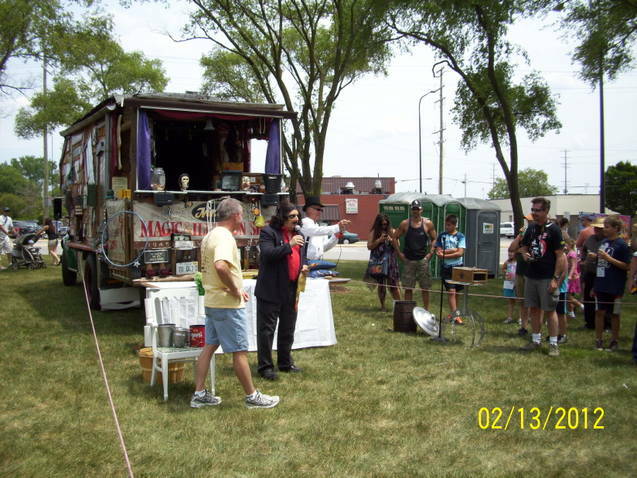 I did end up making it to his appearance that Sunday after all but, as I was fatigued from travel and the blistering heat, would be far less effective at handling this event like Jamie can. She attended both days with her amazing family and I can’t wait to hear the full story coming soon! 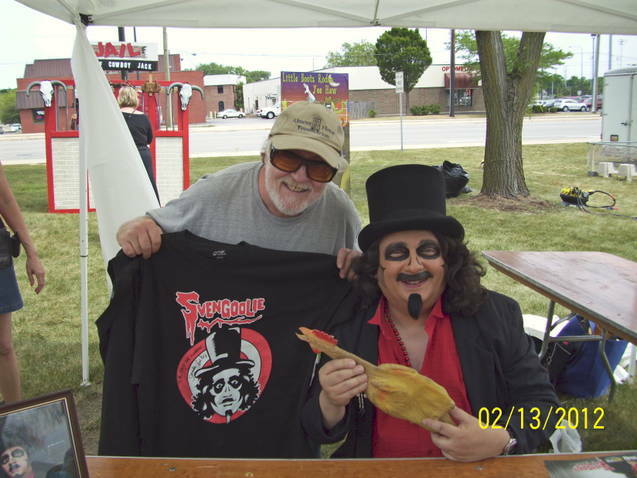 As we Daves encourage all Svengoolie and Horror Host fans to share there photos with us, we were VERY happy that Jerry Victory from the Svengoolie YAHOO forum decided to take us to task. 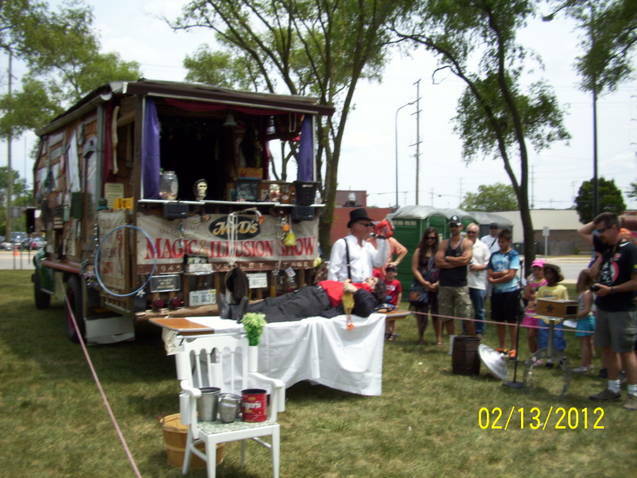 Below are his shots taken at the event on Saturday June …. 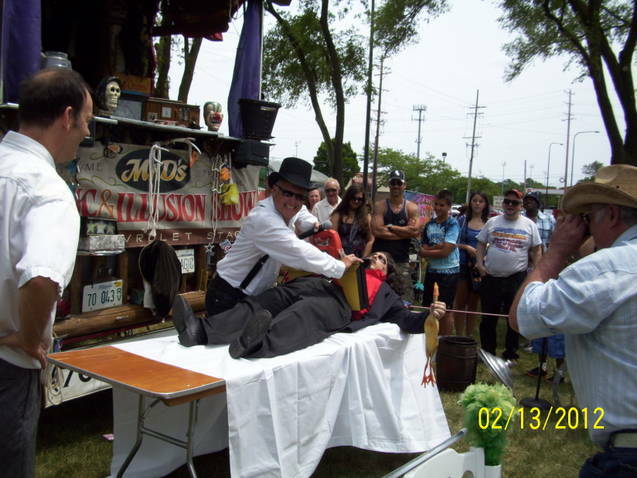 Mayor prepares to saw Svengoolie in half! 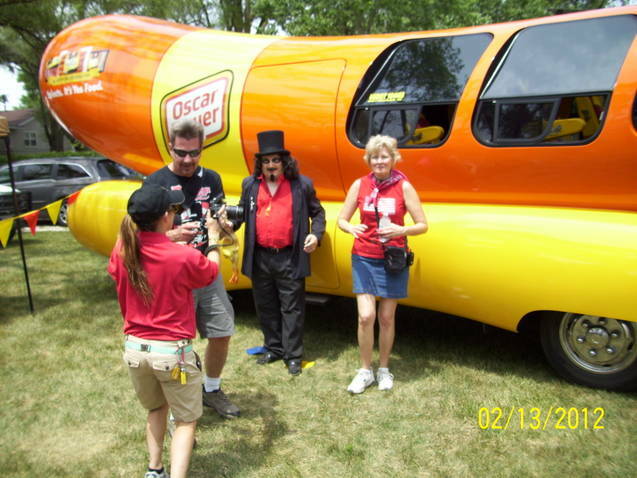 Sven poses with a fan by The Weenie Wagon! And speaking of our friend, Jerry, stay tuned for a special post coming soon showing what happened when he called radio host, Stephanie Miller, and asked her guest Cassandra Peterson a.k.a. Elvira: Mistress of the Dark about Sven…. 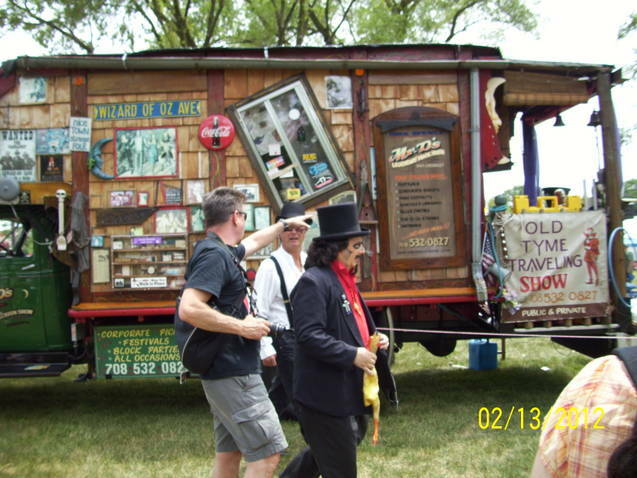 This entry was posted in Haunted Attractions, Stalking Svengoolie! and tagged ELVIRA:MISTRESS OF THE DARK, HORROR HOSTS, RODEO, Svengoolie. Bookmark the permalink. ← Horror Hosts at Monsterbash! I live in Florida, and we’re having our usual summer heat (after tropical storm Debby dumped huge amounts of rain on us last week), but I don’t think it’s nearly as bad as some other areas of the country are experiencing.